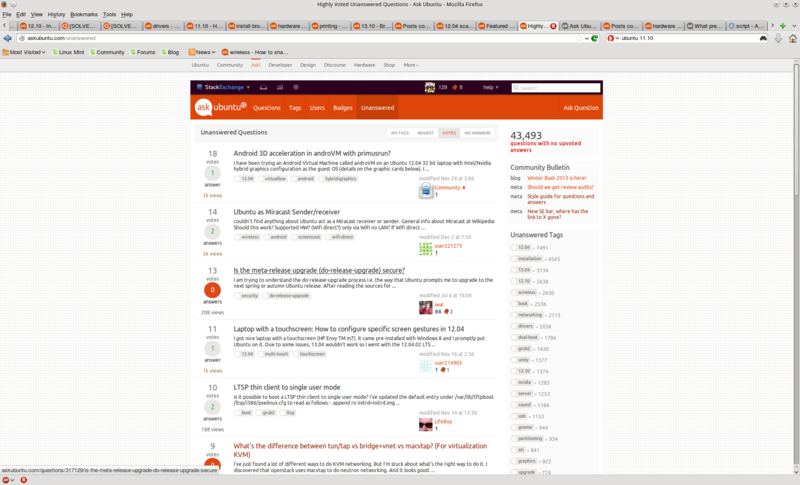 Why does the "Unanswered" tab in the main orange bar produce a result different than "Unanswered" in the "Questions" sub-tab? Is there a way to make this less ambiguous? A question isn't answered until it has at least one answer with a score of at least +1. Not the answer you're looking for? Browse other questions tagged bug unanswered-questions bug-reports . Why are most questions in unanswered answered? Why does the Unanswered button take me to a list of questions with answers? What to do with the “Will Ubuntu run in X model?” questions?